Dawn Ingram Designs is Chatham County's finest interior styling and design firm. We understand time is precious and that it is the one thing we cannot replenish. Our goal when you choose to work with us is to provide solutions to challenging design dilemmas, to minimize stress and overwhelm with communication and organization and to create as an end result, a space unique and perfect as the people that will use it. Let us do the leg work to help make your dream a reality so that you can spend your time and energy on what matters most to you in life. We can help with new construction, remodels and updates. Maybe you love what you have but you long for a fresh look. We can create a space that feels new even though the look was created mainly with things you already own. New, existing or re-purposed, we want your space to reflect you and to surround you with things you love so when you are in it, it just feels good. It’s a place you are proud to call home and you want to share it with your friends and family. If it is a commercial application then you would feel that the space reflects your services as well as creates a feeling to your clients/visitors/vendors the minute they pull into the parking lot but especially when they walk through your door. The environment sets the tone and you have said a lot before you even speak a word. Let your surroundings represent your professionalism, who you are, and the feeling of well being and care so that your clients/visitors/vendors know they are in good hands and this is a company they trust and with whom they wish to be associated. You won't hire us because we are the cheapest (we are not), you will hire us because we are excellent at what we do. We are fiercely dedicated. We are professional. We listen. We are creative and when we leave, your space reflects you not us. We are organized and strive to be efficient. We will commit and work on your project as if it were our own space. We leave a bit of our heart and soul with every project we do because we love our work and are deeply honored to be trusted with such an awesome responsibility as your home or business. Whether your goal is to freshen up an existing space, a complete remodel or help with new construction, call us. Zeagler Farms Handcrafted Flooring, Inc.
Our founders, Randy Childs and Prince Preston, started Contractor Wholesale Floors to aid the needs of flooring trade professionals. 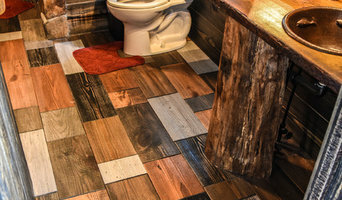 The flooring trade professionals we serve include builders, remodelers, and installers, who want quality flooring at the best price. Our selections include luxury vinyl plank, hardwood flooring, ceramic tile, luxury laminate flooring, and carpet. COMMITTED TO EXCEPTIONAL CUSTOMER SERVICE Contractor Wholesale Floors is committed to the highest standards of professionalism. Moreover, determined to give our customers the personalized service they expect, and the quality of work they will love for many years to come. Visual is essential in our industry which is why we offer free checkout of samples that you and your clients can take with you. Our success depends upon every project we complete to your satisfaction, and we take great pride in giving you the best service possible. Our goal is to earn your trust by providing you exceptional service so that you will refer us to your family and friends. 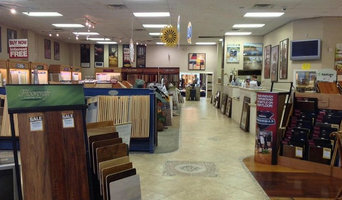 ProSource Wholesale Flooring - We have the nicest floorcovering showroom in Savannah. 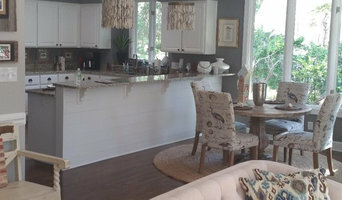 We also carry cabinets and have an in house Kitchen & Bath Designer to assist with planning and layout.